Apples are one of the world’s favorite fruits. Because apple trees require a period of dormancy with cold temperatures, apples cannot be grown in tropical areas or areas that lack a winter chill period. Before modern biogenetics existed, orchardists were always on the lookout for new apple varieties grown from seeds. 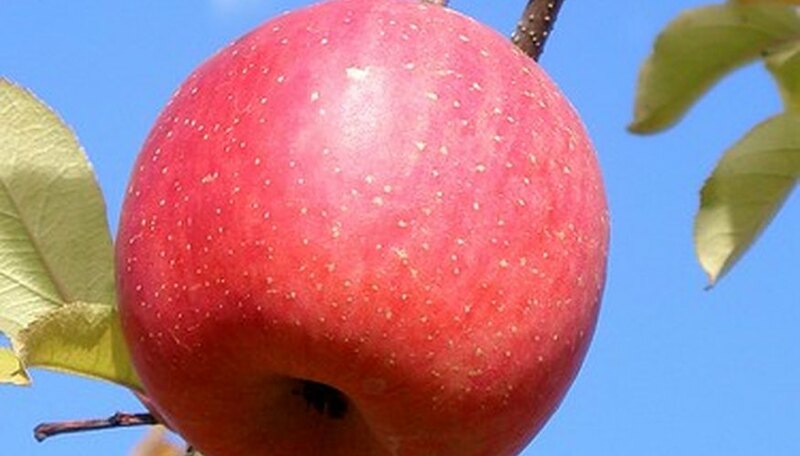 It took many years to recognize a new apple variety that was genetically true and pure. In 1900, horticulturist Joe A. Burton introduced a new variety of Winesap apple. Burton worked at developing apples from seeds. Each group of test seedlings took seven years or more before it would even begin to bear fruit and results could be recorded. The Turley Winesap is the result of open-pollination. Joe Burton grew over 8,000 apple trees from seed before discovering the Turley. Turley was the maiden name of Joe Burton’s wife. Their son was named Turley Burton, and the apple variety was named for him. Turley apples are ready to harvest the first two weeks of October. Their skin is almost entirely red when ripe. It is a dull red, not waxy or shiny, and the skin is more crack-resistant than other Winesaps. Turleys are fairly round and large with creamy-green flesh that is firm and sweet. They fall on the subacid side of the acidity range. Turleys are juicy apples, and they are sometimes used in cider blends. The main use for Turleys is baking or cooking. Their sweetness makes them ideal dessert apples, and they are also used for applesauce and apple butter. Joe Burton’s orchard was located in Lawrence County, Indiana near the town of Bedford. The Lawrence County area has been a research area for Purdue University orchard projects for many years. After their introduction, Turleys were commonly grown in the US in the Northeast and upper Midwest. Turley Winesap apple trees are known for their strong scaffolding branches. Scaffolding branches make up the framework of the tree, and the fruit-bearing limbs grow from them. Sturdy trees make harvesting easier, and they suffer less damage from wind and weather. Turley apples were an important economic variety in the first part of the 20th century. They held for long periods in cold storage. Due to their firmness, Turleys could be transported long distances by railcar with little shipping damage. Their color and size made them popular in markets, and their flavor made them a favorite apple variety.